Jim Thorpe PA - The Little Switzerland of America"
Jim Thorpe is a tourist destination, with White Water Rafting, Mountain Biking, Paintball, and Hiking. The town is, also, popular among railroading fans, and is known for its extraordinary architecture. The boroughs of Mauch Chunk and East Mauch Chunk merged and took on the name of Jim Thorpe following the 1953 death of Olympic athlete Jim Thorpe in hopes to attract tourism and other attention to help its economy. The town has also been referred to as the "Switzerland of America", as can be seen in an old drawing of the town showcased in a restaurant therein. This may also be the cause of the building next to the Sunrise Diner having "Hotel Switzerland" painted onto its front. The town was so nicknamed due to the picturesque scenery, mountainous location, and architecture. The town was founded by Lehigh Coal Company, and was home to the Mauch Chunk Switchback Gravity Railroad. Jim Thorpe is also home to the Anthracite Triathlon. The Anthracite Triathlon is an Olympic distance triathlon open to both amateur and professional triathletes. The swim portion occurs in Mauch Chunk Lake. The bike course takes riders through the mining towns of Summit Hill, Nesquehoning, Lansford, and Jim Thorpe. The running portion of the course is generally along the former alignment of a historic switchback railroad. Jim Thorpe is also the home of the famous "Mollie McGuires" The "Molly Maguires" were miners in the anthracite coal region of Pennsylvania who organized into a union during the 1860's and 1870's. These miners were chiefly, although not exclusively, Irish and the union was called the Workingmen's Benevolent Association. In general, the members of this union were also members of the Ancient Order of Hibernians, a semi-secret fraternal society, which had its origin in Ireland as a completely secret and anonymous association. This organization of Irish miners was dubbed the "Molly Maguires," after a group of Irish peasants who dressed up as women to antagonize their landlords. This group was infamously known as murderers and assassins and the press and police in America applied the name to the Irish miners. The label was used by both the press and the owner-operators of the mining companies to their distinct advantage. They called anyone who was pro-union a "Molly," inferring that they were criminals at best. This helped to subdue, even if only slightly, uprisings in the work place. The Inn at Jim Thorpe - Jim Thorpe, PA Built In The 1840's, this hotel was painstakingly renovated to preserve the essence of that high-flying era of gaslights, horse-drawn carriages, and Victorian opulence. It is said General Grant, President Taft, Buffalo Bill, Thomas Edison, and John D. Rockerfeller have each stayed here. 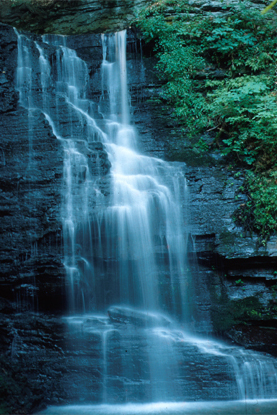 The village offers a wide variety of nearby activities such as boating, bicycle rentals, fishing, children's playground, golf, cross country skiing, sailing, horseback riding, galleries, hiking trails, jogging track, mountain biking, train rides, snow mobiling, swimming, water skiing, & snow skiing. The Swiss Tourist Board has dubbed Jim Thorpe "America's Little Switzerland." 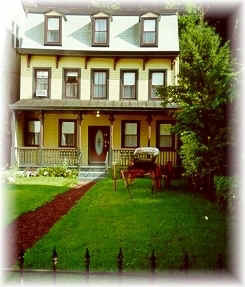 The Broadway House Guest House- Jim Thorpe, PA 44 West Broadway, Jim Thorpe, PA 18229. . .a tranquil, private guest house retreat in Jim Thorpe's historic & cultural district. ("The Switzerland of America") Open all year. Turn-of-the-Century Charm combined with modern amenities & lovely vistas from the hillside decks & sunroom. Nearby hiking and biking trails, as well as whitewater rafting, swimming & boating, & skiing areas this a comfortable, relaxing, convenient & affordable choice. 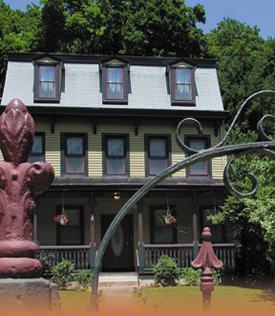 Jim Thorpe is a quaint small town with lots of antique shops, local art gallaries, sights to see, historic mansions, summertime train rides, and much more for a relaxing getaway. Rt 209 Lehighton - Almost new all suite hotel near Jim Thorpe, Blue Mountain Skiing, and Lehigh River Rafting & Canoeing. Stay here to tour America's "Little Switzerland", visit the Courthouse made famous by the Molly McGuires. Indoor Pool, Exersize room, country style continental breakfast, and friendly people.